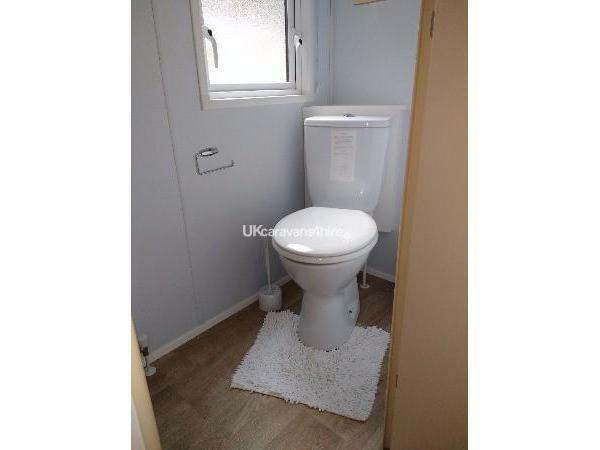 Welcome to our comfortable three bedroomed caravan. 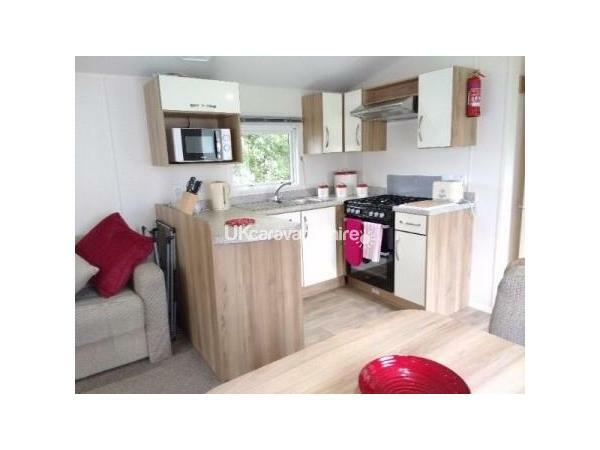 Sited on the 5 star Cardigan Bay Holiday Park with it's tropical pool and retractable roof, two hot tubs and just a 300 metre flat walk to Poppit Sands Beach what more could you ask for. 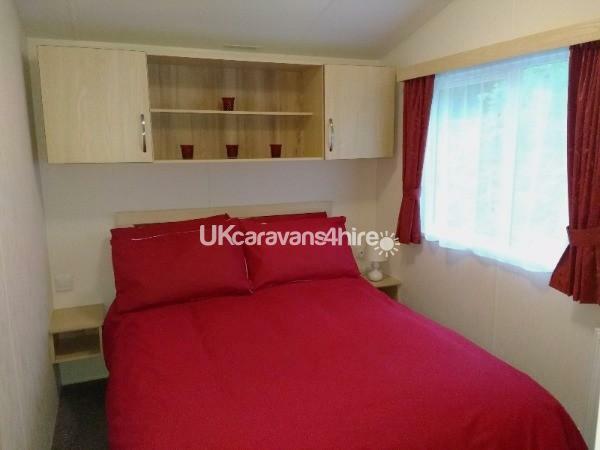 Deposit £50 required at time of booking (non-refundable in event of cancellation) plus full rental amount if within 6 weeks of scheduled arrival date. Rental rates are weekly from Saturday to Saturday. 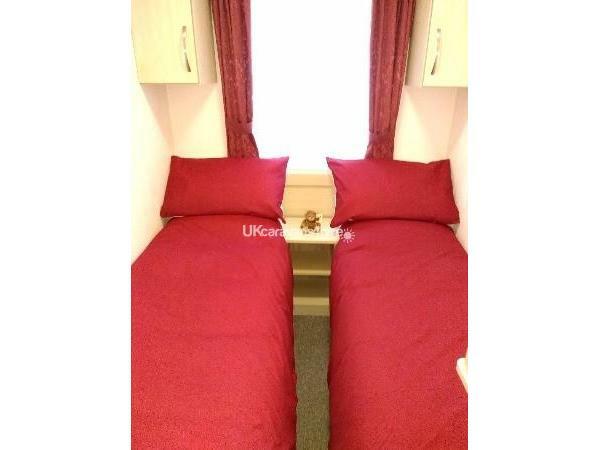 Outside of peak periods, short breaks may be available Monday to Friday or Friday to Monday. Please enquire about availability for other periods and prices, discounted rates for last minute bookings, holidays over 2 weeks duration and returning clients. 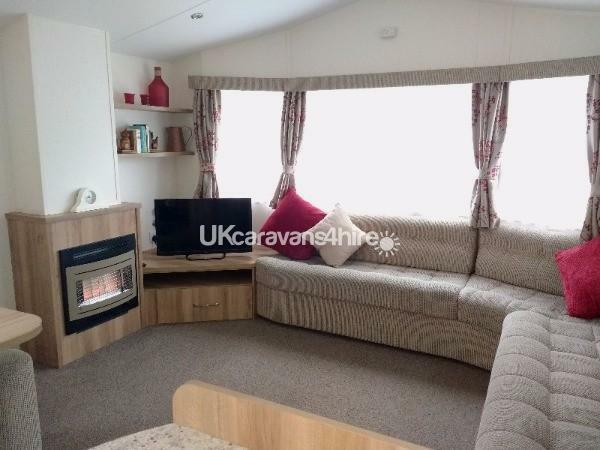 Cardigan Bay Holiday Park is close to St Dogmaels, a village on the Afon Teifi estuary just about a mile or so downstream from the bustling town of Cardigan, Pembrokeshire. 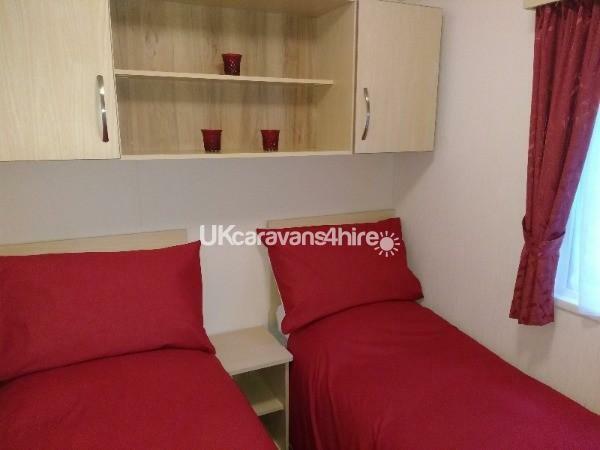 This privately owned 5 Star park is beautifully situated in a green valley and only 5 minutes easy walk from the award winning beach at Poppit Sands. Britain's only coastal national park, The Pembrokeshire Coastal Path, starts here and is an attraction for walkers and ramblers of all abilities. Facilities within the park include the amazing heated swimming pool called 'The Cove' which has waterfalls, spas, rock features, palm trees and viewing bridge. A small shop supplies basic essentials and a launderette is available. Children can make use of the special play area and grown ups can spend time in the pub and restaurant. 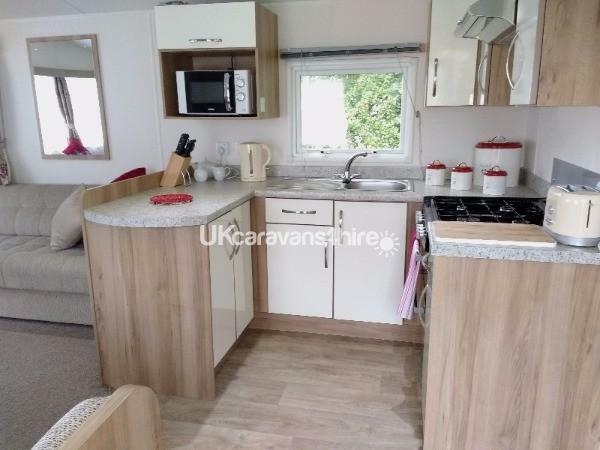 The caravan is privately owned and used by the owners for their own holidays so everything required for a well planned stay is available. 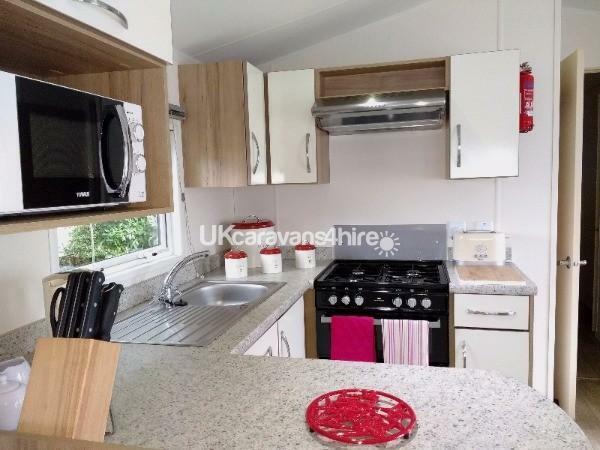 There is a 32" TV/DVD player, radio, microwave, fridge-freezer plus all the other items usually required for a self-catering holiday. 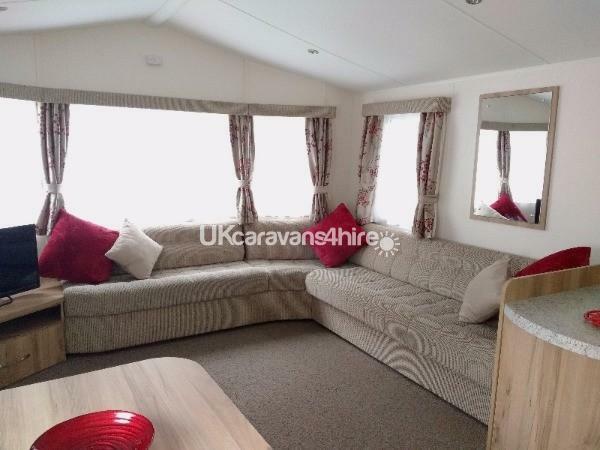 The caravan was brand new in 2014 and is 37' x 12 ', has 3 bedrooms and sleeps 6 in comfort. 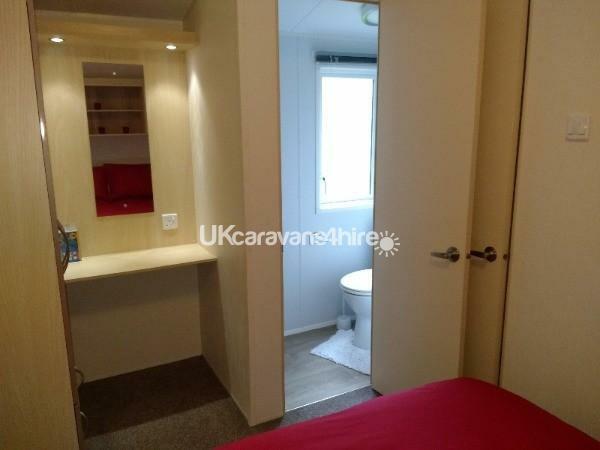 The double bedroom has an en-suite WC and there is also a family shower room. Carry cots, high chairs and door gates can be hired from the park reception office. Please remember to bring your own towels and toilet rolls. WiFi is available in reception. Dogs welcome. No reviews found. 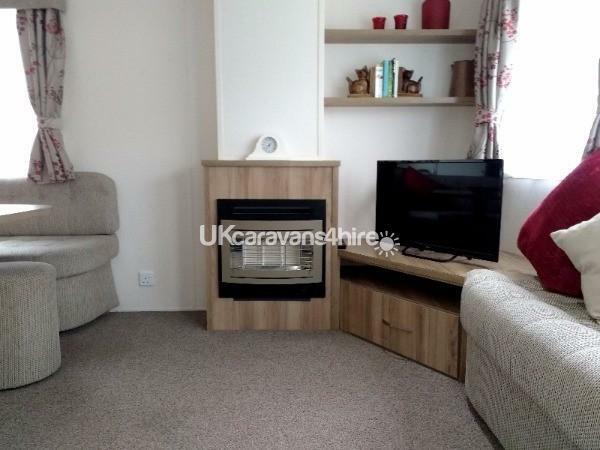 If you have recently stayed in this holiday home please leave a review, it only takes a few moments and will really help future guests when they are searching for holiday accommodation at Cardigan Bay Holiday Park.